Are you searching for a more personalised and enduring memorial for a loved one who has recently passed, or for a companion who may not be with you for much longer? Are you looking to solve issues relating to cemetery capacity? 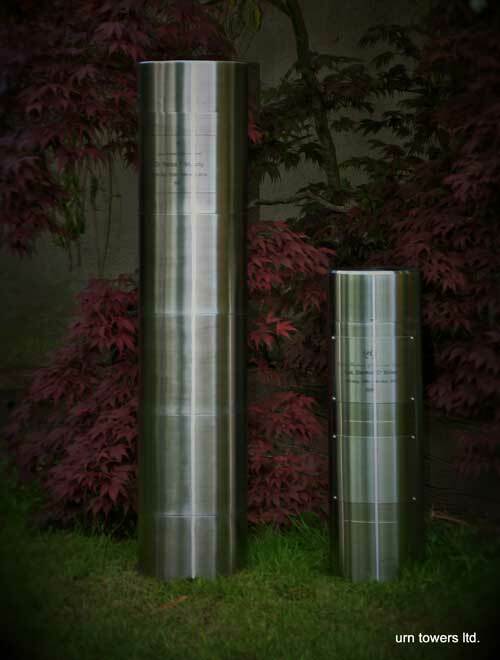 Urn Towers provide benefits and resolves many issues faced by both families and cemetery operators. The Urn Tower is a standalone, individual above ground memorial providing a final resting place for the interment of your loved ones remains. By using an Urn Tower it provides you the ability to keep your loved ones remains in a variety of suitable locations including at home. It may allow for increasing cemetery capacity and allowing families to have their loved ones remains interred in a cemetery of their choice. The Urn Tower becomes both the Head Stone and Niche for holding Cremated Remains. 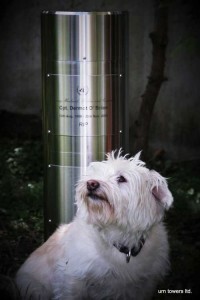 The Urn Tower comes in a variety of default sizes to hold from one to four urns. The original holding capacity can also be increased by the addition of an extension niche if required. This approach also offers more privacy to visiting family and friends.